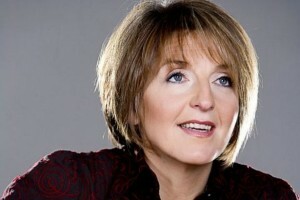 Kaye Adams TV & Radio Presenter is a top class live host for awards, presentations and corporate events. Kaye’s relaxed, professional and versatile presentation style has involved her in a wide variety of network programming for BBC, ITV, Channel 4 and Channel 5. Off-screen, Kaye is very much demand on the corporate event circuit. In addition to chairing conferences Kaye is often booked as a keynote motivational/team-building speaker and has also developed a training programme aimed at senior executives to enhance presentation skills both in delivery and content. Kaye started her media career as a graduate trainee at Central Telvision concentrating on political and news journalism – her first coup was a one-hour interview with Margaret Thatcher. For the next few years, Kaye remained focused on hard news when in early 1988 moved to Scottish Televisions nightly news programme, Scotland Today. She was one of the first journalists on the scene of the Lockerbie disaster in 1988. In 1992, a chance opportunity to host a discussion show for STV after its original anchor Sheena MCDonald left, set her off on a different path.